I know you wondering how I came up with my blog name “Mint Cream”, not only I love the taste of mint cream frosting on vanilla cupcakes “Yuuuuum”. “Mint”- mint green is one of my favorite colors, it’s retro,bright & mint has a stong refreshing flavor like Junior Mints and Peppermints (my favorite candies). “Cream”- Come on, you know any desert that has the word cream it’s gonna be delightful, represents richness and a buttery taste. The richness of history! My lifestyle is rich in art,music & vintage. Mint Cream Blog will bring you a retro lifestyle presenting great retro signs & buildings around the USA (photography etc. by me) and everything retro. Also events like The Mint Cream Vintage Expo. My name is Amy Dobbins (Amy Dollface). 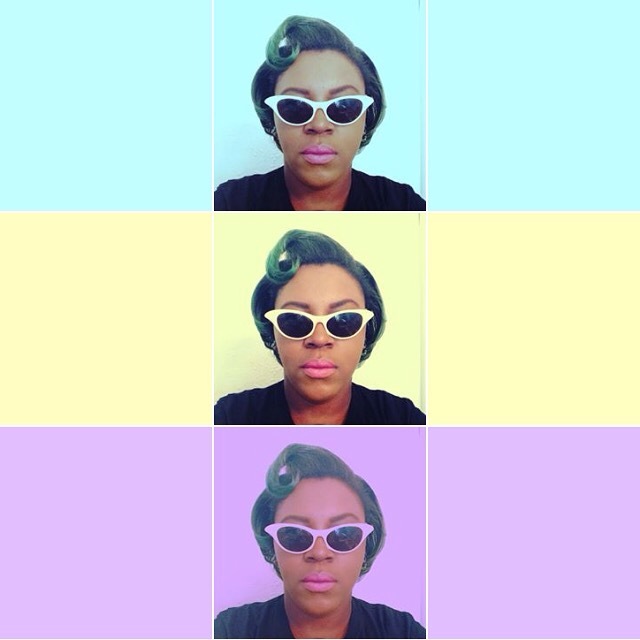 Memphis native that lives in a RETRO state of mind. Yes I have a vivid imagination. I vision palm trees on a sunny day and crashing waves on a cloudy day. I’m also a mother,manicurist, history buff,photographer,musician and more tricks up my sleeve. I live life the way I want and make a living doing it!!! Jill of all trades is what people say about me and you know they’re right!! Enjoy reading my blog and leave comments and share my post thank you!!! Please leave comments,share post and ask questions….If you wanna advertise on “Mint Cream Blog” email me @Mintcream13@gmail.com for more info & rates!! Thank you so much. Your blog is great also. Yes I love mint and Christmas candy.